If I had to choose two words to describe this opera, they would be “unexpected”, and “powerful”. 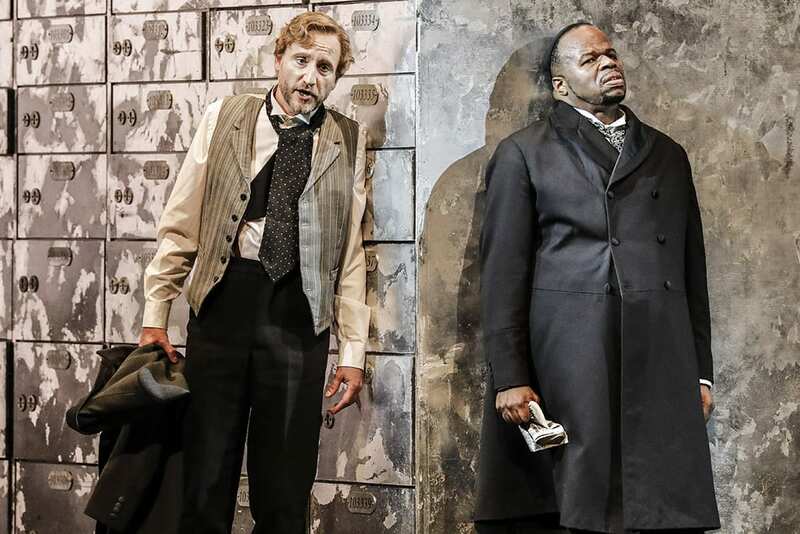 The libretto is faithful to Shakespeare’s original, whose dark narrative more than sustains the interest of even the most classically-minded auditor. Tchaikowsky’s music is not “easy listening” yet, for my money, makes a much better use of sound than Britten does in his operas. Tension is built and held, often with surprising instrumentation that yields wholly new effects, before being released into euphony. There are no arcing lyrical melodies; instead the music performs the role of supporting, highlighting, and nurturing the plot, which it does very well. However, the most powerful element of the opera has nothing directly to do with its performance. The Merchant of Venice, being about usurious Jewish money-lending practices, is ambiguous on the topic of whether Judaism is a “Good” or a “Bad” Thing. 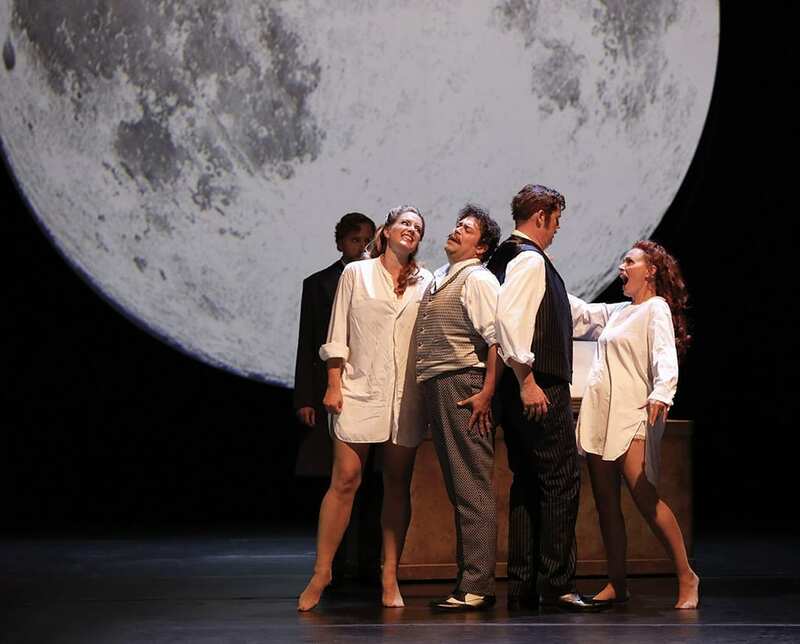 Therefore it is fascinating that Tchaikowsky (born Robert Krauthammer) spent most of his adult life composing this opera having been smuggled out of a Warsaw ghetto in 1942. One senses Tchikowsky’s deep thread of irony throughout this work. Shakespeare appears on the surface to present Christians as generous and forgiving and Jews as rapacious murderers. It is impossible to reconcile this with the atrocities of World War II, in which Tchaikowsky lost many family members simply for being Jewish. It is therefore a stroke of genius to cast the black baritone, Lester Lynch, as Shylock. Anti-Semitism is much less a feature of our lives today than it once was, but there is sadly still a deep current of racism against blacks – certainly in America. The casting works well, highlighting the absurdity of any form of racial discrimination. Lynch delivers the role with force, passion, and high-class acting. Shylock’s conversion to Christianity at the end is pathos-laden, as his transmutation leads to complete loss of identity to the extent that he becomes invisible even to his daughter. The difficulty of the subject and the plot is lightened with Act 2. Portia’s suitors provide some excellent comic turns, weaving their way around a maze to find the box containing her likeness. There is a moment of sexual tension between Portia and Nerissa, which makes some sense in the context of understanding humanity as a broad swathe of different approaches and chimes with Antonio’s love for Bassanio. 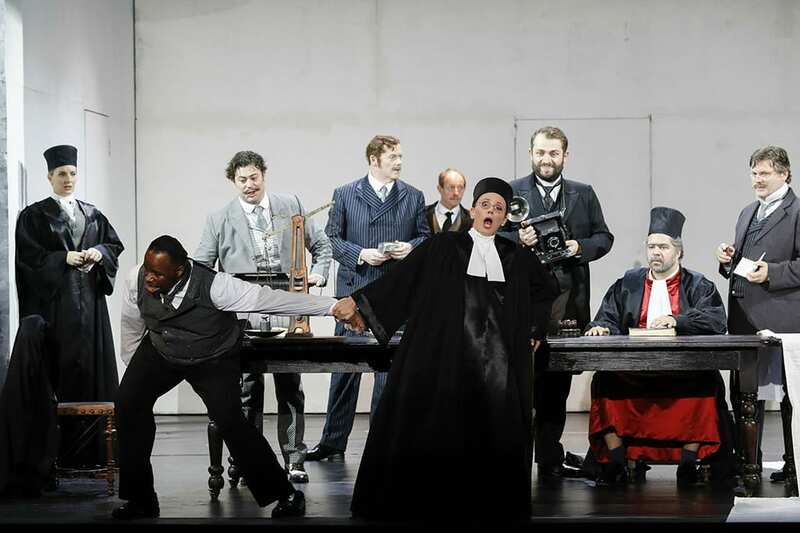 Martin Wölfel’s mousy interpretation of Antonio is praiseworthy, and his meticulous countertenor portrays the ease with which the character floated over Venetian society. Everything in this production demonstrates how life is not black and white. Superficially it may seem so, as demonstrated through the stark set design and lighting, but all of the interesting action and meaningful moments occur in the shadows. One cannot imagine a better production of this opera, which shows all too clearly how complex our lives are, and how we oversimplify at our peril. Tchaikowsky started writing The Merchant of Venice in 1968 and was still completing it at his death in 1982. 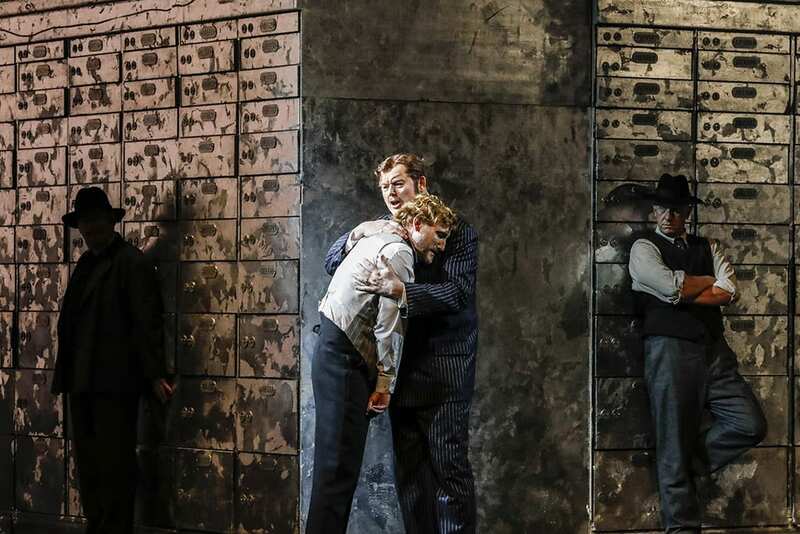 Astonishingly, the work was first performed in 2013 at the Bregenz Festival, and this production by the WNO was the UK premier in September 2016. 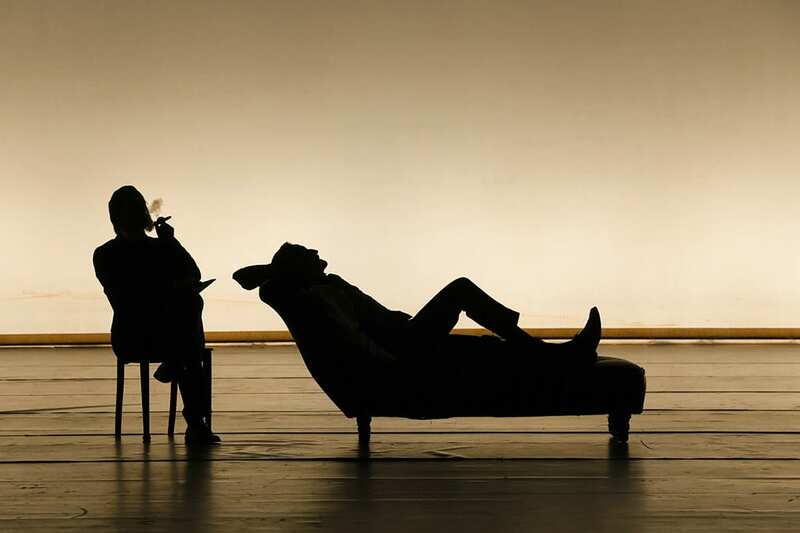 The Merchant of Venice should be considered part of the central canon of 20th century opera, and I sincerely hope it is performed globally with increasing regularity.